This site is dedicated to helping people control their finances by using pre-paid services. 10 years ago prepaid services were looked at as services for people with bad credit. But that is no longer true. The many benefits of using a prepaid service now attracts customers with good and bad credit. No credit check – Not only does not having to submit to a credit check help you to quickly get approved. It levels the playing field. Everyone pays the same price whether they have good or bad credit. Great rates – as resellers, we get cell phone rates and plans that are sometimes BETTER then the ones offered at your local Verizon, T-Mobile or Sprint store! 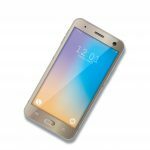 Prepaid cell phone service – we are resellers and work with the top 3 cell phone service providers to bring you rates and terms that are sometimes BETTER than what you can get if you walked into one of their stores! Also check out our become a client, refer 5 new customers, and your cell phone service is FREE offer! 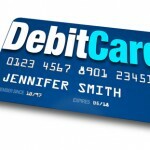 Prepaid debit cards and secured credit cards – both cards are great ways to manage your finances. If you are trying to rebuild or build credit you will want to review the secured cards. Secured credit cards report to the credit reporting agencies and can help improve your credit score.